Dr. Dubroff utilizes a variety of safe and effective natural treatment options to help patients live pain free and up to your full physical potential, maximizing your quality of life. His intention is to provide an array of natural medical systems that can address the route of your pain and immobility quickly, safely and effectively without having to take the expensive and sometimes dangerous route of prescription medications. A holistic system of medicine in pain management considers all aspects of the problem, and seeks to resolve the issues being experienced through alternative long term natural solutions. Very effective and safe procedure for the management of musculoskeletal pain. It involves the injection of dextrose, lidocaine and bacteriostatic water into injured ligaments and tendons. The treatment stimulates the growth of these tissues and therefore increases the stability and strength of the many connections of the musculoskeletal system. Sciatica is a very painful condition that describes pain radiating from the lower back down through the buttocks and the legs. Most often, it is felt on only one side of the body at a time. Osteopathic techniques work with the integration of the nervous and muscular systems. OST are all gentle therapies that require no moving of bones. GAC is a daily intramuscular injections of l-arginine, l-carnitine and l-glutamine. To increase circulation, weight loss and build lean muscle. 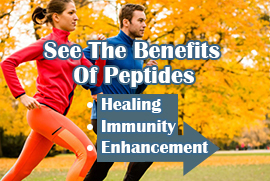 Great for athletic performance and we have been seen outstanding results for weight loss, fibromyalgia, scoliosis, osteoarthritis, erectile dysfunction, hypertension, emphysema. 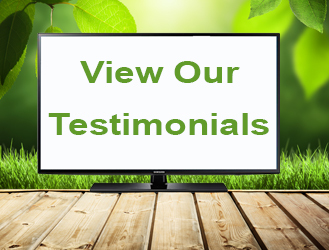 “I am currently undergoing Prolotherapy with Dr. Dubroff for my shoulder. With the orthopedic surgeon, I have had two steroid injections, both under ultrasonic guidance. And in conjunction with the injections, two rounds of physical therapy. I found limited success. The doctor suggested that I try another injection. That’s when I started looking for alternative treatments. A friend gave me Dr. Dubroff’s contact info. (she’s had great pain relief, quite a success). Dr. Dubroff returned my call and spoke with me directly regarding treatment.